View the art from the series and make purchases. Over 25,000 items available. T-shirts, clothing, art prints, Mugs etc. Collectible Limited First Editions are available: Books are labeled on the first inside page as First Editions. Free Media Mail shipping in USA. Write to order with first class for extra ship fees. Allow three weeks for delivery. Many are sent out with 24 hour service. Look for the asterisk *. Foreign will be billed separately for shipping fees. Reviews at Goodreads ( add one of your own, too) Ask a question, etc. Spanish edition: Order at eBay only. Child edition ( 8-10) and Adult editions (Ages 8 and up) available. One reader edition 9 to adult with 21,000 words. One reader edition 9 to adult with 26,000 words. Listen to Zeke, Cedric, and Polly's Music Video, "Cute Little Stone"
Each book tells a story Proof editions ( rare) (five exist) Borders around the art are not included. We hope that children may learn and enjoy from it. Each book is 2-in-1. The beginning part of the novel dealt with William F. Cody's life in the West and is reprinted here from a copy found in Tammy's shed. 12 Songs by Doctor Jay, & the Guardians of Time. 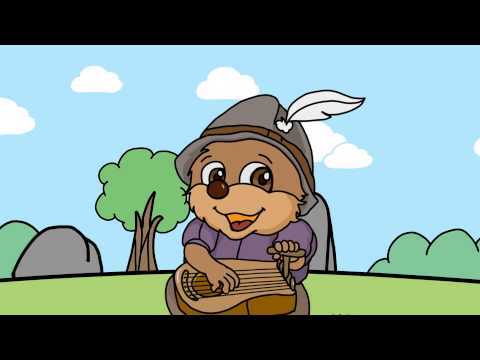 Two children's Songs used in the Library and School presentations and 10 songs that adults might enjoy. $5.00+ $1 media rate shipping fee. ( or free shipping with book order) See the video above for "Cute Little Stone." We will post a music video "Goody Goody Gumdrop" soon. Kindle Purchase (link) Message will appear to allow the window in one frame. Order signed books and see them all in a glance. Book One of the series "Seeds from Heaven" is available Worldwide. God sees that much of his creation has withered and died. His last hope is that Earth can be saved and is perhaps all that can be salvaged. He sets upon a desperate plan in which he sends seeds to Earth that are mankindâ€™s hope for survival. He sends an archangel to assist the four seeds, the three generations of the Lancaster family. The Lancasterâ€™s are unaware of their celestial powers or that they are â€œseedsâ€� with a godly mission. They go about their lives believing they are ordinary American citizens in a modern day world. Each Lancaster experiences life quite differently and it is only with age that each begins to understand their unique relation with a higher power. The stories of self-discovery show the struggles that each encounters as they make their way in a world that is challenging them at every turn. Raymond Lancaster, the second seed, is â€œcalledâ€� to work as a Special ed. teacher in Springfield, Michigan in 1994. He begins his work in a forgotten dilapidated schoolhouse in Springfield where he finds success with the students and staff. Mr. Harrelson, an aging principal, is an inspiration to Lancaster, and his associates, Mills, and Rossiter. Mr. Harrelson is the victim of a scam that robs the estates of senior citizens and passes away penniless. Youâ€™ll meet wonderful characters that will warm your heart, Big Jim, Tiny Tim, Ben, Archâ€™, and a host of others before it is all said and done. Most of all, you will be on the inside track and discover what it was like to be a special ed. teacher during the turbulent 90â€™s. When RJ told me that he was working on this novel, I offered to read and critique it. It lived up to my expectations and I discovered a world of very special characters that jumped off the page and into my heart. I laughed often and called from time to time to inquire if some of the events actually happened. And then I cried when Jon lost his voice. I was outraged for the Harrelson gals who suffered at the hands of swindlers. One would not believe all the hardship endured by the teaching staff at the hands of the villainous administration who turn out to be heartless criminals. I cheered the ending when all the villains were rounded up and Tiny finally got his lawn mower. I have never read anything like this, and can only say I recommend it to virtually everyone. I am now a devoted fan. This novel available Worldwide and at Amazon.com. Write RJ for questions and comments. Links to more: All books are available WORLD WIDE. Purchase at your favorite bookstore. 4. Forty Days to Armageddon Read RJ's political thriller torn from tomorrow's headlines! ~ includes several interviews about all books and PRESS KIT. Articles: Free articles by RJ Award winning Hub site. Signed Books make great gifts. It is a good way to share your reading experience with others.